Liqueur d'Absinthe Francois Guy is a sweet Absinthe liquor. You can drink it on ice, neat or in a coffee. Sometimes we use it as well as a topping for chocolate ice cream, simply delicious. Gin Tonic Glass Tumbler "Noblesse"
Liqueur d'Absinthe Francois Guy is a sweet Absinthe liquor from the Guy distillery in Pontarlier, France. We like it a lot, because it is perfect for sipping after a nice meal. On ice, neat or in a coffee, whatever you prefer. Sometimes we use it as well as a topping for chocolate ice cream, simply delicious! We write the year 1890 when Armand Guy, aged 20, began to pursue his Absinthe career. 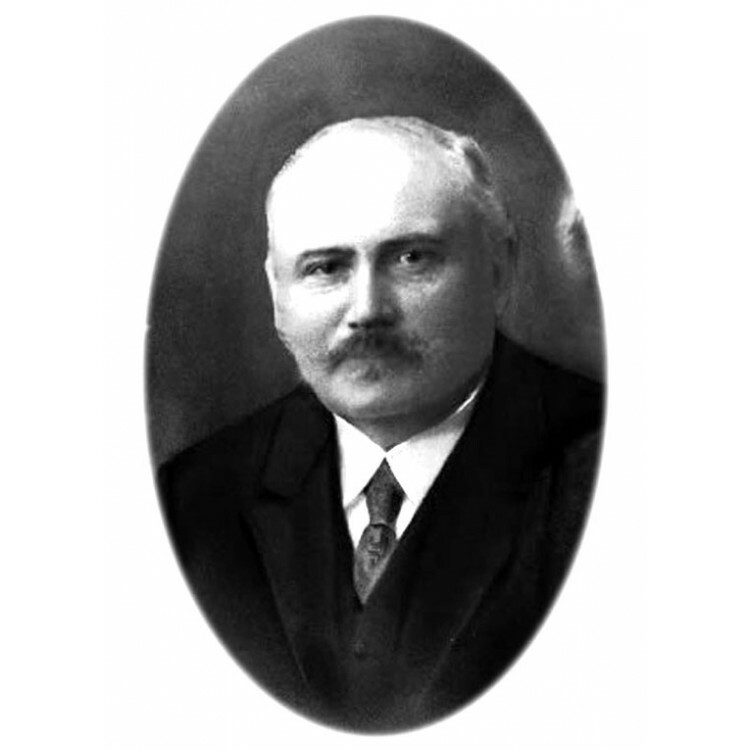 His first strategic move was to locate his distillery at Rue des Lavaux. At this place an underground water source was located, which he used for the distillation of his fine spirits. 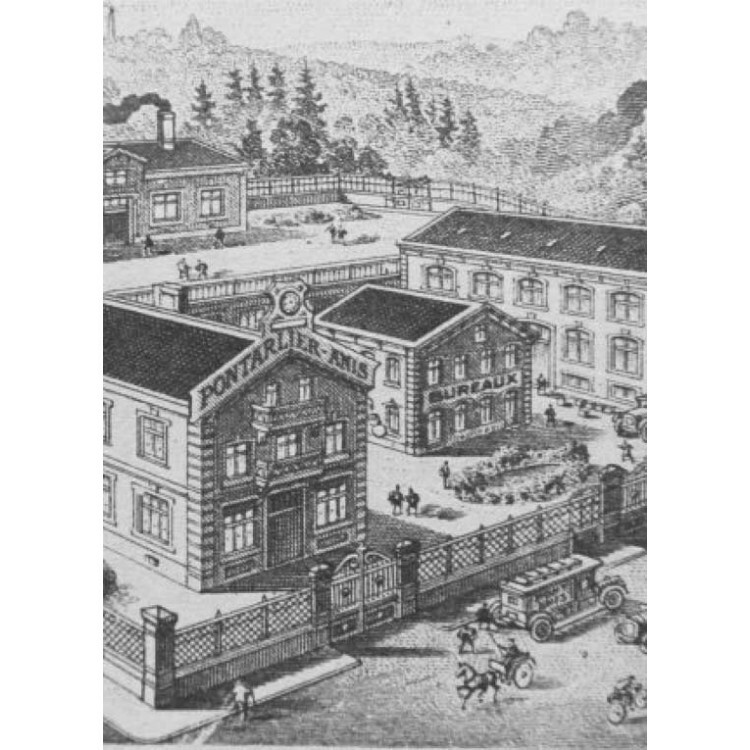 The first customers were als well planned: Close by, the French Army had a military camp. With its constant waves of soldiers ans its constant demand for alcoholic spirits the camp was a major factor for his business sucess. It also helped to introduce the Armand Guy Absinthe to the rest of France and the Colonies. Overall, Armand Guy really benefited from the golden years of Absinthe. Pontarlier became a major Absinthe hub, so big, that at the end of the 19th century no fewer than 23 distilleries were located in this small town. 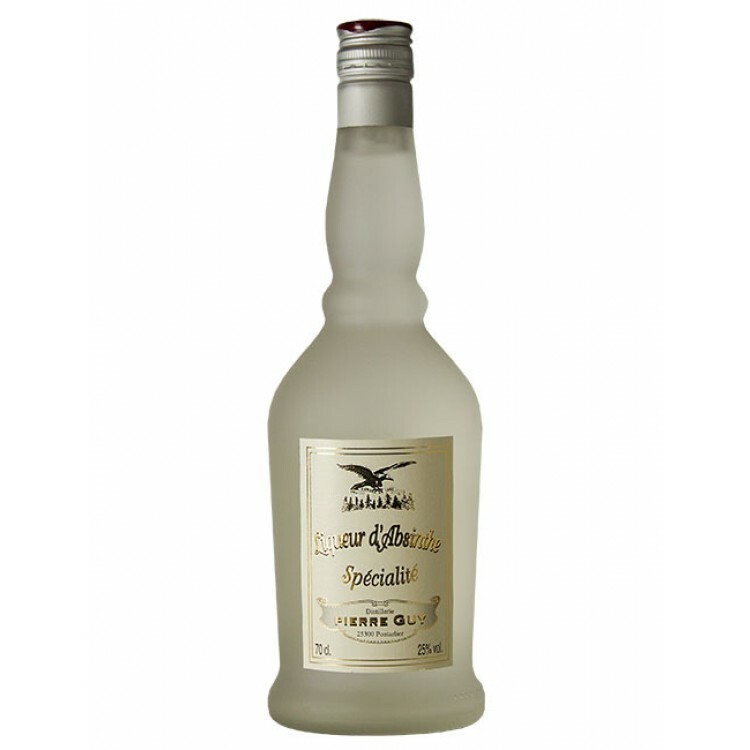 Pontarlier only had a population of 10,000 - 3,000 were employed in the distillation of Absinthe. This of course changed with Absinthe prohibition taking place in 1915. 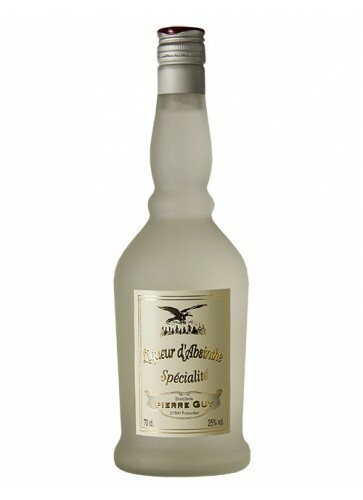 But now, 100 years later, the 4th generation, François Guy (1964), successfully revives the Absinthe tradition which his great grandfather created. I just opened a bottle and tried it for the first time, a glass with a single ice cube. After the second glass, I had to get online and write a review. Sweet taste with a licorice taste and smell that is not overpowering. This would go well straight, over ice cream, or as a topper to a strong Absinthe.